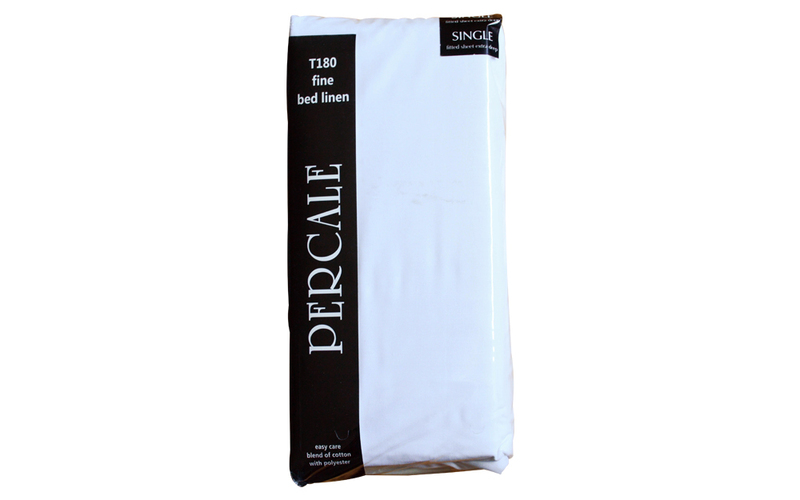 The Percale Extra Deep Fitted Sheet is made using a cooling and breathable blend of polyester and cotton for a better night’s sleep. It features a thread count of 180, giving it a truly luxurious feel. With a depth of 38cm, this sheet will fit almost any standard mattress whilst the strong elasticated skirt will keep it firmly in place throughout the night. It is easy to care for and machine washable up to 40°C. Order now and take advantage of our free delivery service!